The much anticipated annual summer holiday begins way before you step foot in the airport or begin your drive to the ferry. There’s the planning, the pouring over brochures and websites, shopping for holiday clothes and the gradual build-up of excitement as the day draws closer. And of course, changing up your hard-earned cash into the currency of whichever country it is that you’re about to visit. We Brits have historically had a pretty poor deal when changing up our holiday money – with many of us relying on terrible rates from the airport bureau de change or being ripped off by banks charging extortionate amounts to use our cards abroad. But thankfully the past few years have seen holiday exchange rates and companies who provide them become far more competitive. 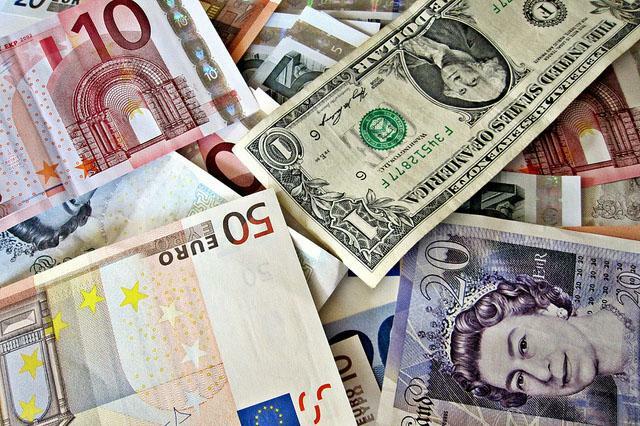 With some of the major currency exchange companies such as Forex, Travelex and Moneycorp entering the market of travel money, plus the ability to buy online, we have far more choice in converting our money. But one thing many people fail to take into account is the rate to convert any leftover money back into pounds sterling. At the beginning of our holiday it’s human nature to not consider this – after all, you’ve not even left the country yet so the last thing you want to think about is when it’s all over! However, it’s something that should be taken into consideration as the buy-back rates offered by the different exchange companies differ tremendously. For instance, if you have €1000 to change back into sterling, today (27 June 2011) one of the best rates available is from Best Foreign Exchange, an online/postal service, who’ll give £882.77. However, if you were to change the money up via the Post Office Online you’ll only get £787.40. That’s a massive £95.37 difference, and one that is surely better in your own pocket than the coffers of the corporate exchange machine. If you rely on some of the other buy-back services, such as the counters at the airports or travel agents bureau de changes, then the scenario is even more bleak. Choose the wrong one and you could sacrifice up to 20 percent of your leftover holiday cash. So for those who expect to come back with some currency then it can be worth fixing the rate before you go. For example, Travelex offer a guaranteed buy-back at the same rate as which they sold you the currency. This option costs an extra £3.99 but can be well worth it. The option of prepaid cards that you load up with currency and use abroad also offer a buy-back option. But check the small print carefully before signing up because some charge up to £10 for the privilege. Their excuse is that most people won’t bother changing their money back into sterling, preferring to keep it on the card for their next trip abroad. But if you’re not planning to go away for the next few months then are you really prepared to leave what could be a substantial amount where it’s earning zero interest? So as always, it’s a case of buyer beware. And much as you probably don’t want to think about your annual holiday being over, it makes sense to consider the best way to change back your unused currency before you leave for your fun in the sun. After all, at a difference of 20 percent, that could be a good way towards paying for a much needed weekend away later in the year. Tom the author of the “How to exchange your leftover holiday money” regularly writes about foreign exchange and personal finance topics just as currency exchange markets. He is also a keen traveller.